Lexus Malaysia recently launched the new Lexus GS which will be available here in 5 different variants consisting of 3 trim levels and 2 engine choices. Prices star from RM366,200 for the GS250 version while the GS250 Luxury is priced at RM398,660 and the sportier model, the GS250 Sport is sold for RM400,600. Meanwhile, for the GS350, you will have 2 options which are the GS350 Luxury which will be sold for RM456,800 and for RM8,000 more, you will be able to get the GS350 F-Sport. All models will come with a 3 years or 100,000km warranty and will be coming in through the Tahara plant in Japan. 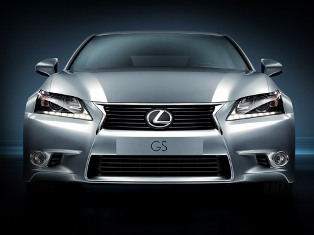 In terms of engines, the GS250 will be powered up by the 2.5 liter, 24 valve V6 engine with Dual VVT-i that boost out some 206 horses while the GS350 is powered up with the 3.5 powertrain that gets you up to 312 horses where all of them come with Lexus’ new Sound Generator system. Gearboxes are standard across all models which is their 6-speed Super ECT with A.I Shift automatic transmission and you can drive in 4 different modes which are the ECO, Normal, Sport and Sport + respectively. As with all Lexus cars, luxury and prestige is the order of the day here and you can be sure of that while safety features include 10 airbags that include knee airbags for the front passengers and seat mounted side airbags for the rear passengers. You will surely like the in-car 12.3 LCD display which they claim to be the world’s largest.